The new iPad is out today! The new iPad is out today! The new iPad is out today! OK, that may not be as funny as Steve Martin's screams about being in the new phone book in The Jerk, but a lot of people are really excited about the new and improved iPad released today. Trial lawyers are also pretty excited about the iPad. With great apps for trial presentation and preparation and a very simple interface, lots of lawyers are successfully using iPads in the courtroom for jury trials and other types of hearings. 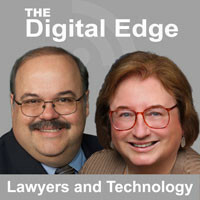 iPad for Litigators is the topic of the 53rd Edition of the Digital Edge podcast. Our guest is Tom Mighell. 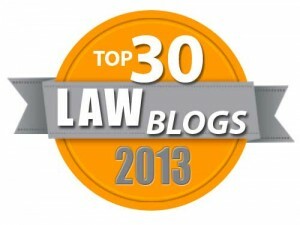 Tom blogs about the iPad in the legal community at iPad 4 Lawyers. Tom is the author of the book iPad in One Hour for Lawyers and the author of the newly announced book iPad Apps in One Hour for Lawyers. Tom and I have done several programs about lawyers using iPads in and out of the courtroom. So my co-host, Sharon Nelson and I chat with Tom about how trial lawyers use iPads. It turned out to be a pretty good podcast if I do say so myself and the show notes have links to the apps we discussed as well as a link to purchase the archive of a CLE presentation Tom and I did through ALI-ABA with trial lawyer Jamie Moncus. I hope you can listen to our podcast on The iPad for Litigators.